Divi Southwinds Resort will host the 5th Edition of Caribbean Fine Art (CaFA) Fair – Barbados March 11-15, 2015. CaFA Fair opens on Wednesday, March 11, 6-9 pm with a Gala Reception featuring a live musical performance by Terry “Mexican” Arthur, and presentation of the CaFA Fair Special Award of Merit to veteran Barbadian collector and arts advocate Kathy Yearwood. This year the Fair will present over 45 exhibitors of paintings, sculpture, photography, drawings, original limited edition prints and new media exploring the cultural traditions of the Caribbean and the African Diaspora. This 5th anniversary edition of CaFA Fair Barbados will feature two special exhibitions: “Diaspora Dialogue II” an exhibition of works by artists Khuumba Ama, S. Ross Browne, Sadikisha Collier, JW Ford, Anthony Romain, Danny Simmons, and Shenna Vaughn from the USA; Ernani Silva – Brazil; and TAFA – Ghana. This exhibition will explore the African influence on contemporary Diaspora artistic expression and investigates the position of Caribbean art in the broader Diaspora conversation. “Our Caribbean Home” will feature works by three accomplished artists born in northern lands, who have become enthralled with the Caribbean way of life. The USA’s Hedy Klineman, UK born Dave M. Todd, and Canadian Maureen Tracey all now make their homes in Barbados. Thursday evening, March 12, Barbadian and other Caribbean designers will be featured in a Caribbean Fashion Showcase. Barbadian Author Cher Antoinette will sign copies of her new book Architects of Destiny during the afternoon, while USA artist, poet and art entrepreneur Danny Simmons will host an evening of spoken word performances by Barbadian artistes and special guest UK’s Victor Richards on Friday, March 13. Caribbean Art Symposium, scheduled for Saturday, March 14, will present a panel discussion with the Harlem Needle Arts group made up of artists with their origins in Barbados, Dominica and Trinidad & Tobago; a painting session with American artist S. Ross Browne; and an interactive presentation by founder and director of Prizm Miami, Mikhaile Solomon. CaFA Fair will close on Sunday, March 15 with a Caribbean film presentation and discussion with Grenadian born Director of “Absence of Love”, Billy Gerard Frank; Barbados Video & Film Association; Alex Daniel and NY based Barbadian Tyson Hall. CaFA Fair will showcase works of art by over 45 internationally and regionally acclaimed artists including Ras Ishi Butcher, Jamal Ince, Carlton Murrell, Rosemary Parkinson, and Ras Akyem I Ramsay – Barbados; Earl Etienne and Shimoda – Dominica; Coronado Print Studio Group – Dominican Republic; Joseph Brown and Frankie Francis – Grenada; Carl F. Anderson – Guyana; Patricia Brintle, Francks Deceus and Patrick Icart-Pierre -Haiti; Bernard Hoyes – Jamaica; Diogenes Ballester, Puerto Rico; Laura Gadson and Robert Reid – Trinidad & Tobago; Afreekan Southwell and Ademola Olugebefola – USVI. Several talented emerging artists will be on show including Cher Antoinette – Barbados; Ziggy Bruney – Dominica; Jesma Noel and Michael Paryag – Grenada; Beatrice Mellinger – Martinique; and Robert Joyette – St. Vincent. Event partners include Bajan Sun Online; Barbados Tourism Marketing Inc.; Barbados National Cultural Foundation; COT; Divi Southwinds; Intimate Hotels of Barbados; Laparkan Shipping and MQI/BMW. CaFA Fair was created with the primary mission of increasing awareness and appreciation of Caribbean culture through the presentation of works of art and the distribution of information. For updates please visit event website http://www.cafafair.com or call 646-267-8831. Caribbean Fine Art (CaFA) Fair Barbados presents at Prizm Art Fair 2014, Miami! Caribbean Fine Art (CaFA) Fair Barbados and its artists will be featured at Prizm Art Fair in Miami from December 4-22, 2014. 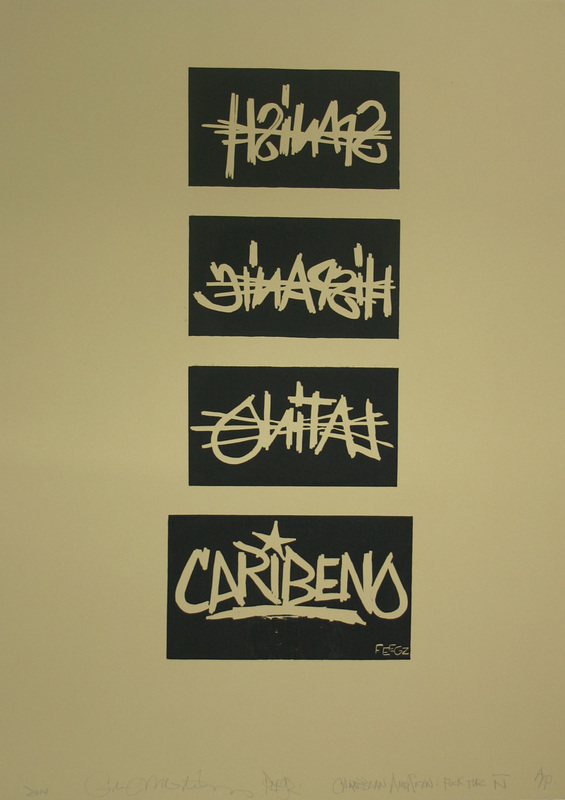 The 2nd Edition of Prizm Art Fair, which opens at the Miami Center for Architecture & Design with a VIP reception co hosted by MOCADA Museum and Rush Philanthropic Arts Foundation, will feature three New York City-based Caribbean artists representing CAFA Fair Barbados: Diogenes Ballester, Francks Francois Deceus, and Jamal Ince. This presentation is the result of an agreement between the organizers of CaFA Fair Barbados and Prizm to work in partnership to increase the exposure of artists of the African Diaspora in the Caribbean and the Americas to a global audience. 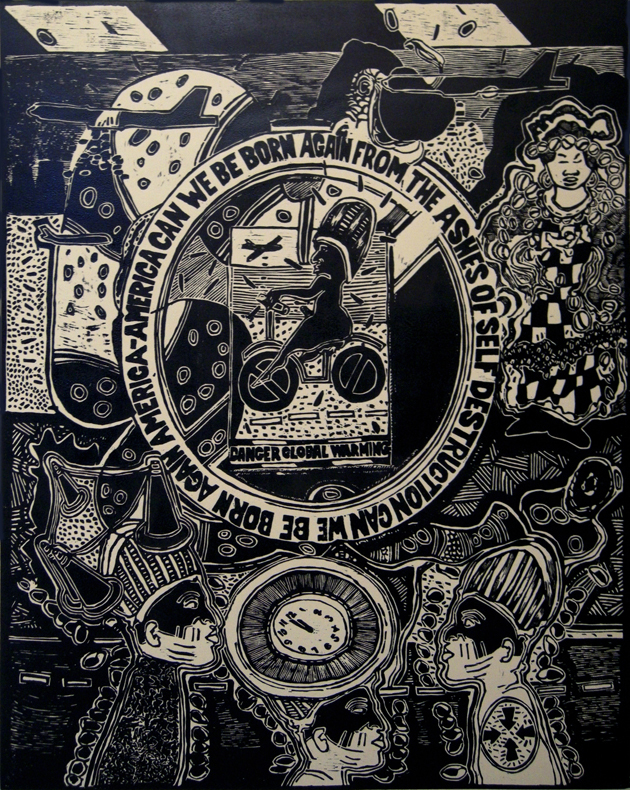 Diogenes Ballester, visual artist, educator, and writer holds an MFA from the University of Wisconsin-Madison and a BFA from the Catholic University of Puerto Rico. He has taught as professor of art at The Cooper Union in New York City, the State University of New York at New Paltz, the College of New Rochelle and The State University of New York at Albany. Ballester’s work explores oral history, memory, mythology, ritual and cultural identity along a transnational spectrum. In recent exhibitions, he has appropriated cultural objects and historical artifacts together with painting, drawing, prints and new media as a way of accessing the past and re-interpreting the present in a trans-Caribbean dialogue. 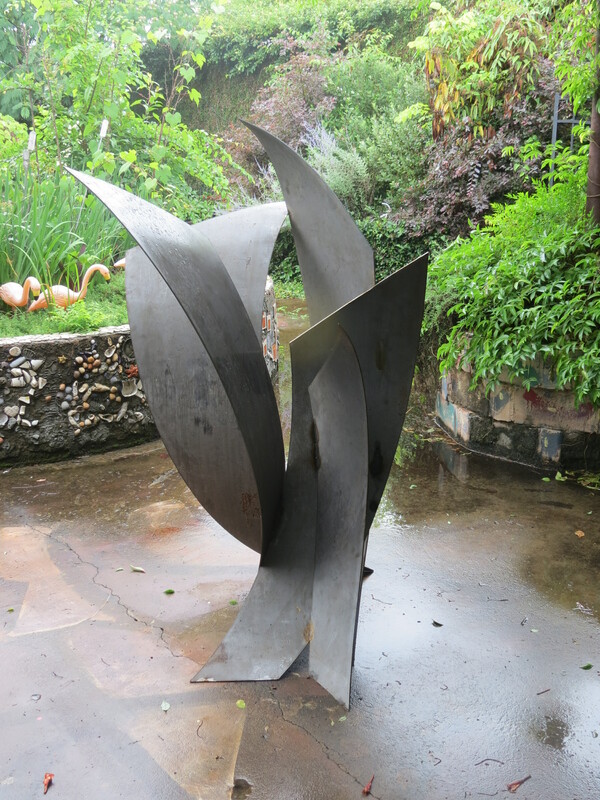 Ballester has received numerous honors for his artistic work and has exhibited widely in the United States, Europe, Asia, Latin America and the Caribbean. His work is in numerous private and public collections. He maintains a studio in East Harlem, New York City. Born in Haiti in 1966, Francks Décéus and his family moved to Brooklyn, New York when he was nine years old. It wasn’t until he graduated from Long Island University with a degree in sociology that he turned to making art as a career. 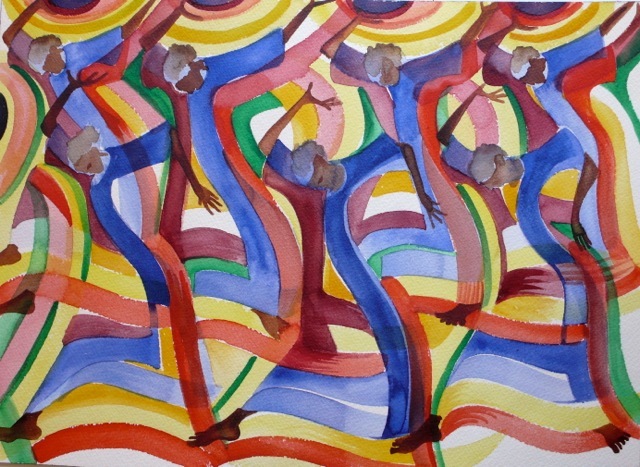 Stylistically his work incorporates many of the influences and aesthetic forms of the 40’s and 50’s visual artists like William Johnson and Jacob Lawrence and reverberates with some of the artistic strains of his native Haiti. His modernist style combines figurative, abstract and layered elements and relies heavily on a simplification of form and function. 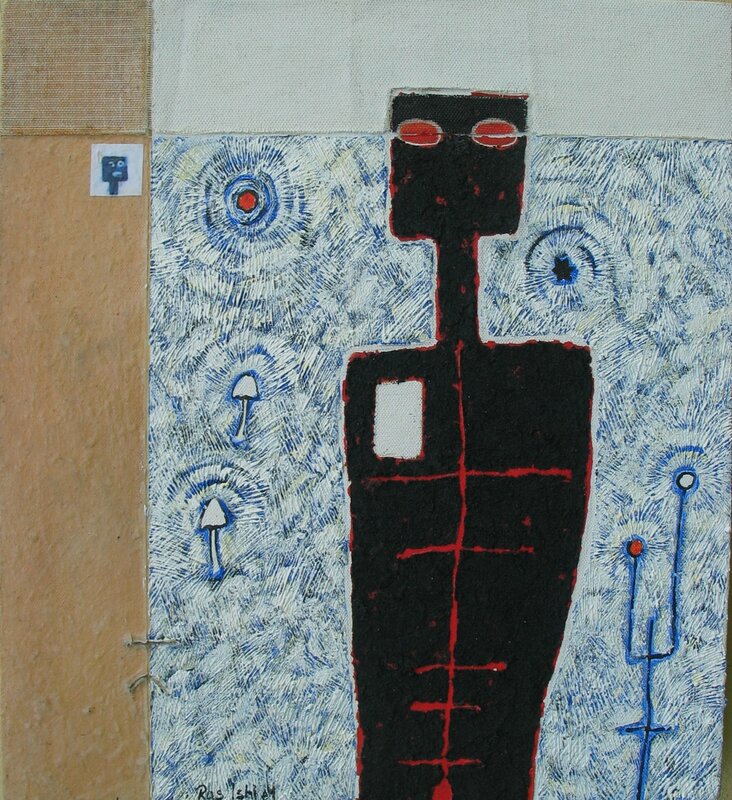 Décéus was profiled in a 1998 issue of the International Review of African American Art as “one of the leading young modern painters of his generation, whose work depicts a high degree of sensitivity to social issues and his culture.” He is currently featured in “100 New York Painters,” an extensive survey of significant New York painters and their widely diverse works. His work has been commissioned by the Brooklyn Academy of Music and Medgar Evers College of the City University of New York. His work is in the permanent collection of the Schomburg Center for Research in Black Culture and Xavier University and a legion of private collections. Brooklyn based artist Jamal Ince received his B.F.A in photography from Pratt Institute in 1991 and his MS in education from Long Island University in 2005. 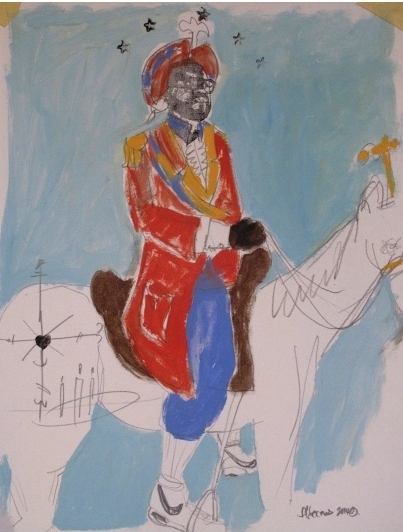 Jamal has exhibited his paintings and photographs widely in the NYC tri state area, as well as in Miami and his native Barbados. 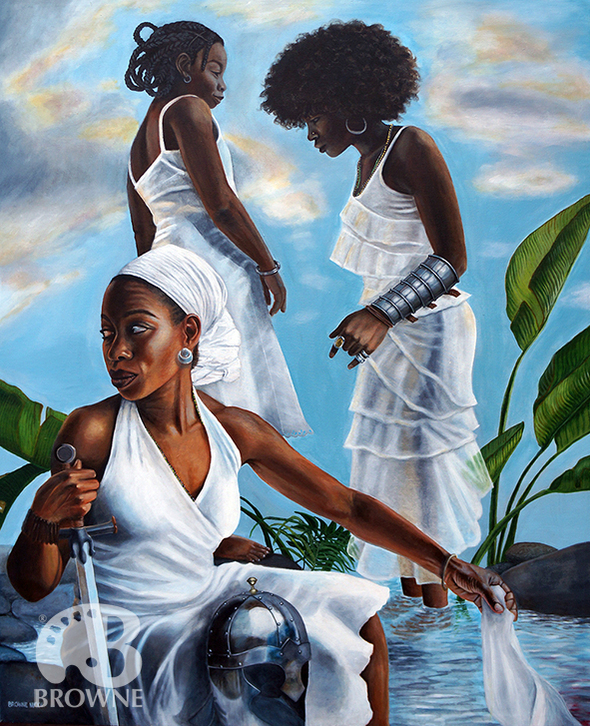 Selected group exhibitions include The Stamford Center for the Arts, Selena Gallery/Long Island University, Skylight Gallery Restoration Plaza, Five Myles Gallery, The Barbados Consulate and most recently, Art Africa Miami. His work is held in private collections, and he has created several public works including one for the NYC transit system. Jamal’s painting “Angry Young Tenor” was recently featured in the interior design magazine New York Spaces. 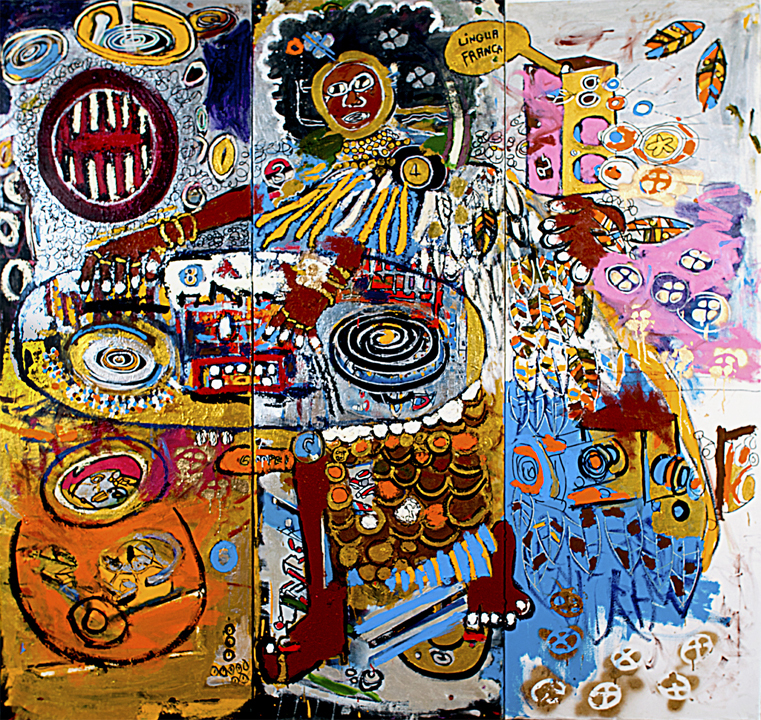 Jamal has participated in artist residencies at the Brooklyn Children’s Museum and Museum of African Art. He currently teaches visual art to inner city youth in Brooklyn. CaFA Fair Barbados was created with the primary mission of increasing awareness and appreciation of Caribbean visual art and culture through the presentation of works of art and the distribution of information. For updates please visit event website www.cafafair.com or call 646-267-8831. Elise Wood, the daughter of two writers and niece of a fine arts painter, has always lived in an artistic environment. Both her talent in music and art were recognized at an early age, and she was selected to be in exhibits and perform throughout her education. She has attended classes at the Art Students League and the City College of New York and continues to expand her knowledge of mediums and availing herself of live models and museum trips with professors and students. 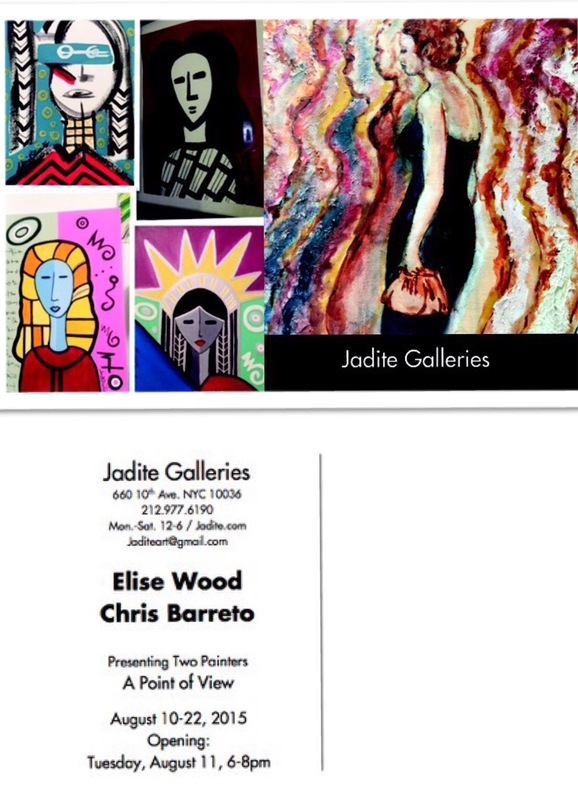 She has exhibited nationally including Blue Skies Gallery in Hampton, VA; Cornelia Street Café, Theater for the New City and Jadite Gallery, in New York; and North End Trilogy Gallery in New Jersey. 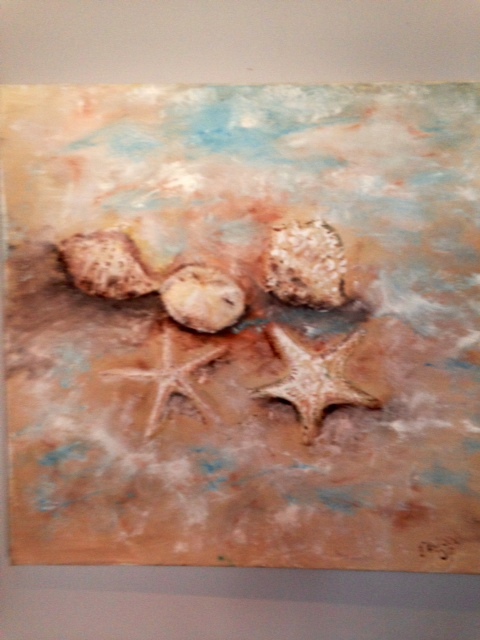 Currently her paintings in acrylic or oil on canvas are on exhibit at Salt Gallery in Beaufort, SC. 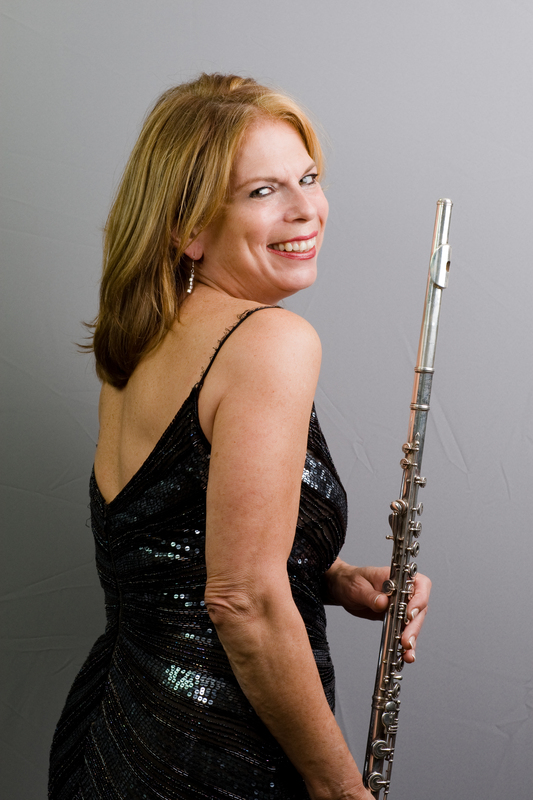 An accomplished flutist, she is an active member of the New York Jazz Flutet, a six-flute jazz ensemble that includes an instrumentation from contra-bass flute to piccolo with drums. She recorded frequently with her late partner John Hicks on HiWood Records, among others. As an artist I try to surround my work with an aura – despite the subject matter and to draw out the subtleties of light and shadow and the colors therefore produced. 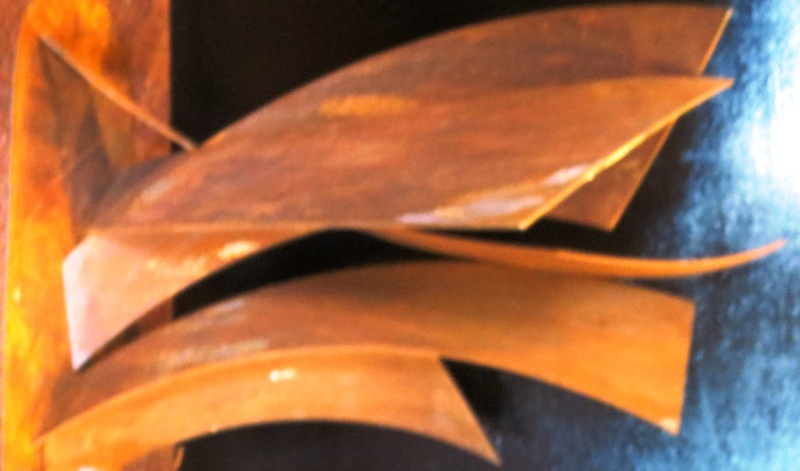 Texture inspires the flow of the paint that holds together the form. My subject matter is parallel with my fantasy of isolating a moment of beauty in time and space. Contact us for more information about her art or her performances. In keeping with history and tradition the Corner Community on St. Helena Island, SC is gearing up to celebrate Memorial Day weekend. The businesses at the Corner are planning an array of activities to recognize Memorial Day, a holiday the people of St. Helena Island have always celebrated as part of their American heritage. 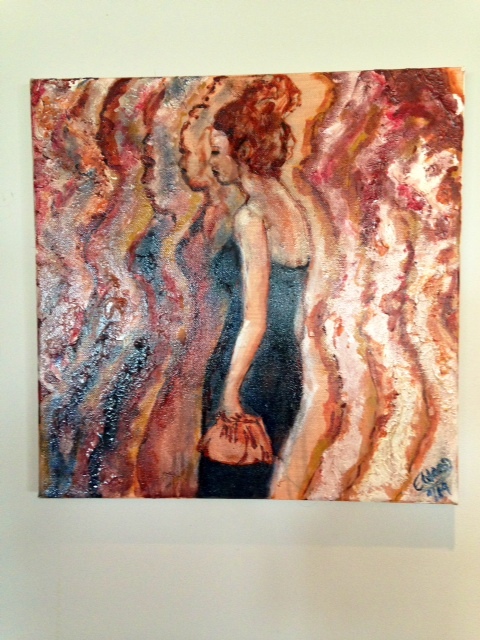 The Red Piano Too Art Gallery is hosting a special art exhibit on May 24, 2014, featuring the work of well-known lowcountry artist Diane Britton Dunham. 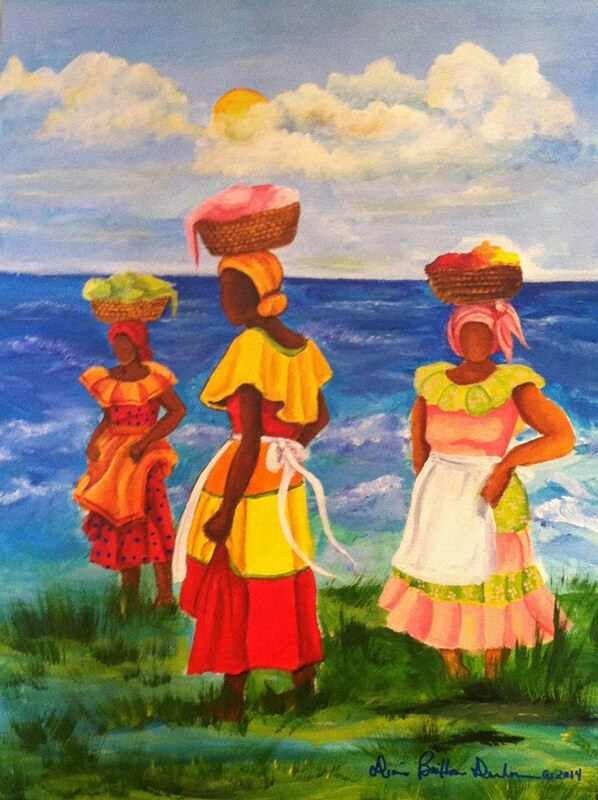 The theme of this show is “The Gullah Creole Caribbean Connection.” Gullah Creole is the term coined by Dunham because it best describes her artwork blending elements of her colorful Louisiana Creole roots with the rich historical Gullah culture of the Sea Islands. She will discuss the Gullah Creole Caribbean art connection and related history during the exhibit. Noted Beaufort musician and Dunham’s husband, Phil Griffin, will provide music for the Gullah side of the event from 12 Noon until 2 pm, playing classic Southern Blues and traditional Gullah music. A collection of Gullah themed needlework hangings by Bridget Murray will also be exhibited. These pieces emphasize the detail Murray incorporates in her work. 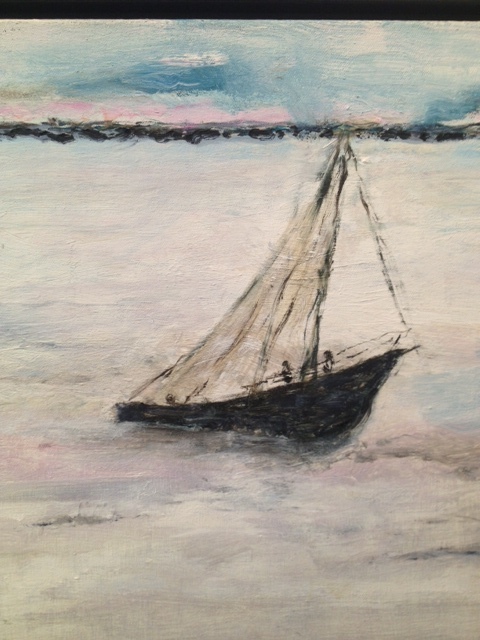 An additional exhibit of Lauren DeLoach‘s lowcountry paintings celebrating regional natural beauty will be presented at Bella Vita and Octopuses which are across the street and next door to the Red Piano Too Art Gallery. All activities are free and open to the public throughout the Corner. For additional information contact the Red Piano Too Art Gallery, 870 Sea Island Parkway, St. Helena Island S.C. 29920, phone (843) 838-2241. 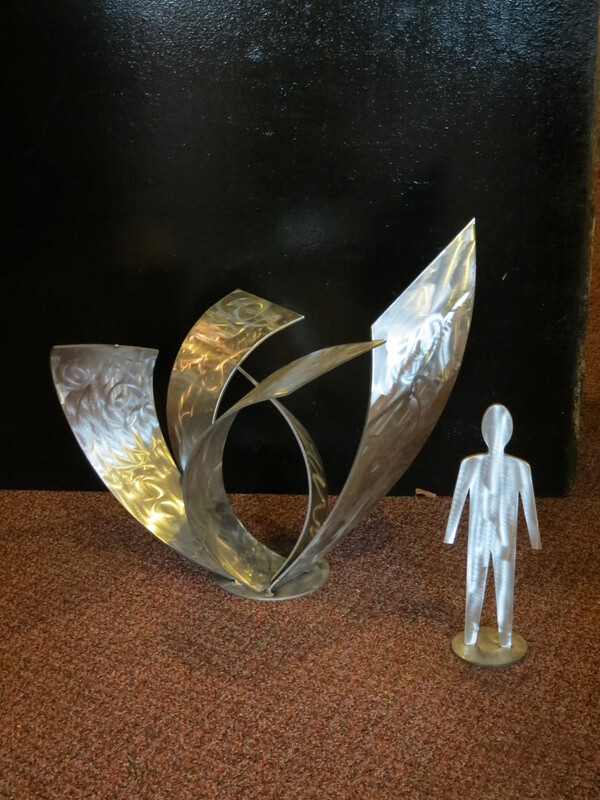 Avant Garde Center for the Arts will be hosting the Red Rose Sculpture Exhibition and Competition in downtown Lancaster, SC on May 17th from 10 am – 4 pm. The event will be at Red Rose Park, 118 S. Main Street during the fifth annual Red Rose Festival. 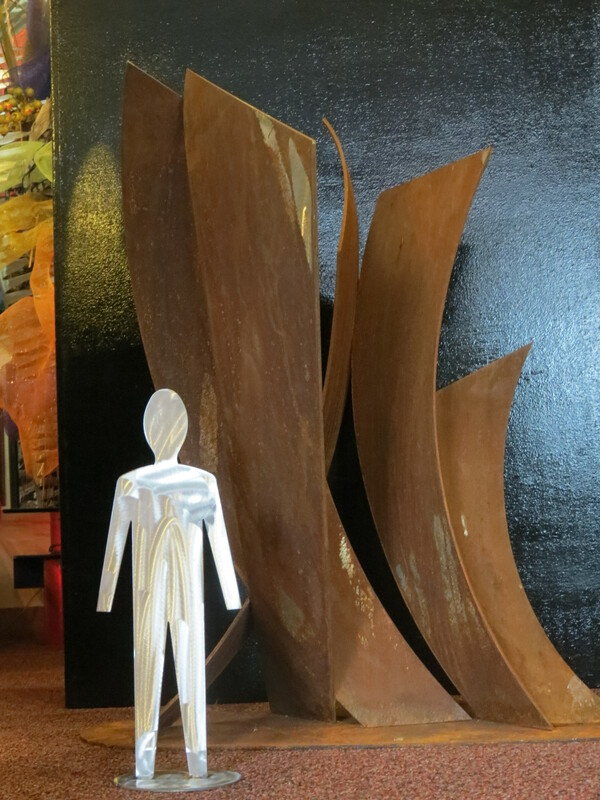 The sculpture show is juried, and prizes and honorariums will be awarded to all participants. Applications can be found at http://www.lancastercitysc.com or by contacting Cherry Doster at cmstevens@comporium.net or 803-289-1492. Deadline for application is May 11, 2014. Avant Garde Center for the Arts is an all-volunteer non-profit organization whose mission is to provide arts opportunities in partnership with existing arts and other agencies. The City of North Charleston Cultural Arts Department announced Bluffton, SC, artist Amiri Geuka Farris, as the winner of the 2014 North Charleston Arts Festival Design Competition. As the winner of the statewide contest, Farris’ mixed media piece, titled “Gullah Islander Toss,” will be used to promote the 2014 North Charleston Arts Festival, taking place May 2-10. 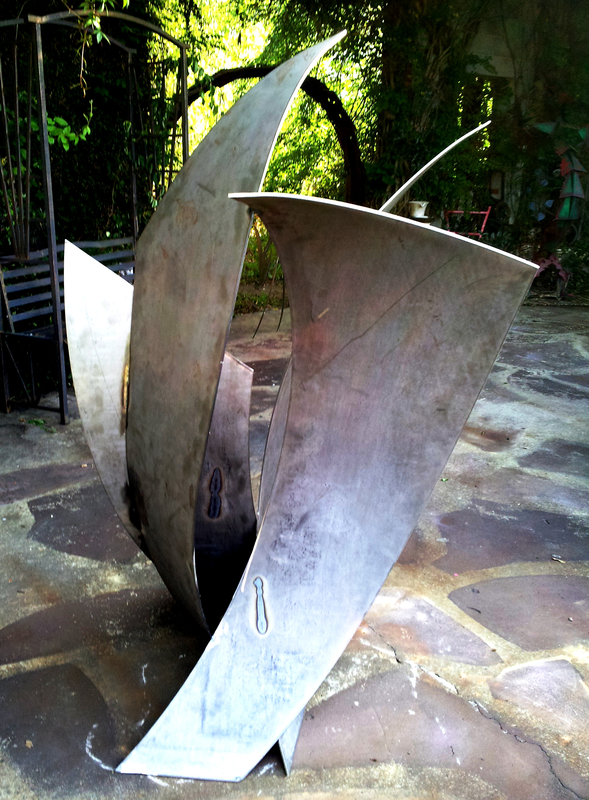 In addition, the piece will become part of the City’s Public Art Collection. Farris’ design was selected from 53 entries by artists from across the state. The selection was made by a review panel appointed by the Cultural Arts Department who judged the entries based on quality, originality, appeal to festival patrons from a broad range of backgrounds, and ability to convey the spirit of the festival as a public celebration of arts and culture. “Gullah Islander Toss” honors the traditions of the Gullah-Geechee culture and is also an attempt to draw a greater focus to “a celebration of history,” Farris said. 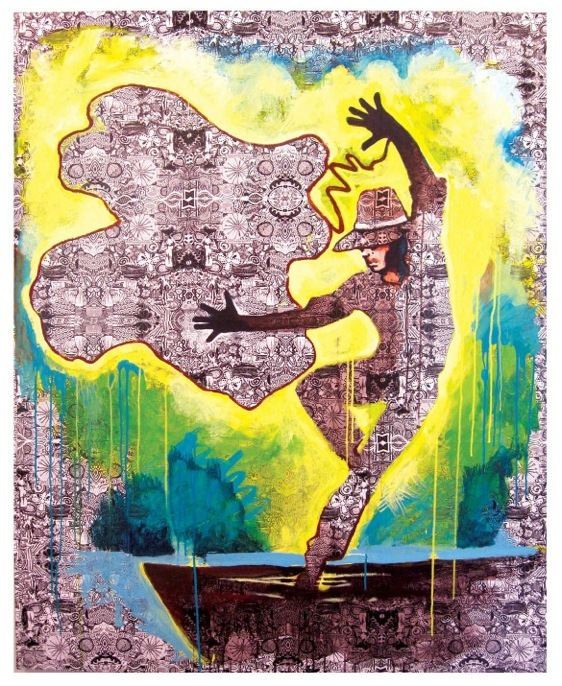 “You will see elements like dance and rejoicing with references to important cultural elements like the land, cast net making, throwing and artistic traditions,” he explained.The piece is composed of a number of layers that involve design elements such as Adinkra symbols, paint drips, and paint embellishments. 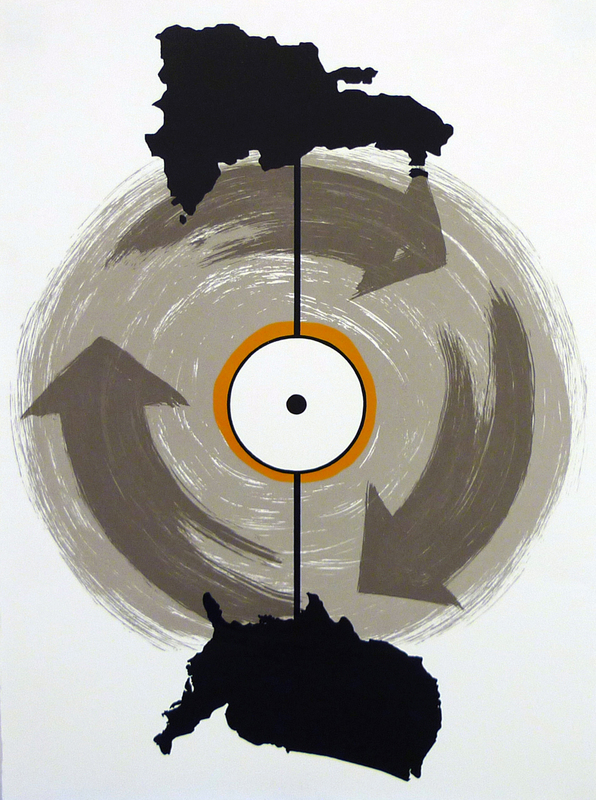 The dynamism of these elements represents the passing of time and movement into the future. As with many of Farris’ other works, the piece refers to specific Gullah traditions and historic elements while blurring the boundaries between traditional and contemporary modes of representation. 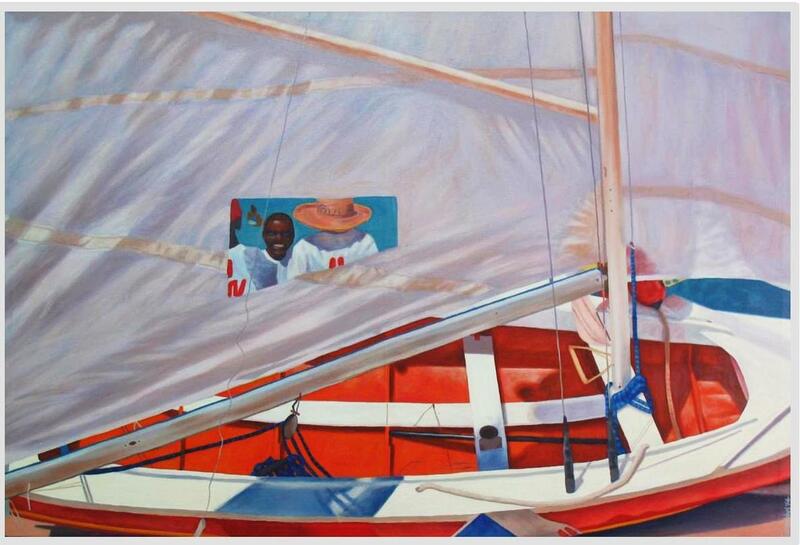 An exhibition of his work, including the winning piece, “Gullah Islander Toss,” will be on display at the North Charleston City Gallery throughout the month of May 2014. The gallery is located within the Charleston Area Convention Center at 5001 Coliseum Drive in North Charleston, SC. Gallery hours are 9:00 am-5:00 pm daily, and admission and parking are free. The public is invited to meet the artist at the gallery on May 3 and 4 during the Main Event of the North Charleston Arts Festival. T-shirts and posters featuring the winning design will be available for sale. 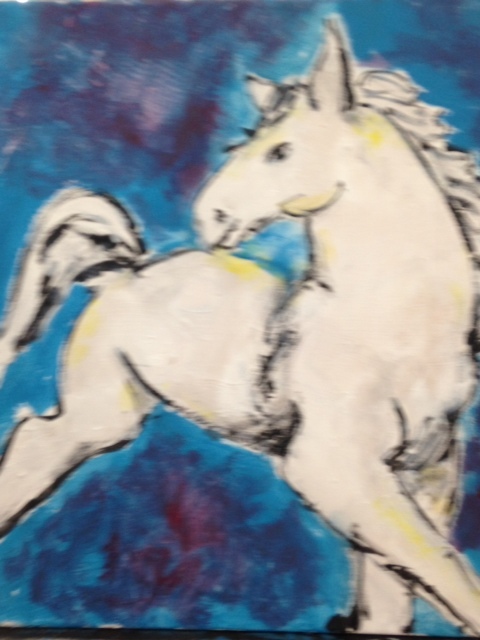 Lancaster, SC artist, Bob Doster, will have his works featured at the Saul Alexander Gallery in the Charleston County Public Library for the month of March, 2014. The Charleston Public Library exhibition space, located as 68 Calhoun Street, Charleston, SC , serves as an avenue for the respectful exchange of artistic and conceptual ideas within a diverse constituency, to reflect the varied experiences and viewpoints of the people of SC. Artists are selected solely on the basis of the quality of their work. Bob Doster has been creating sculpture for more than fifty years, and his works can be found in museums, galleries, and collections worldwide. New works on exhibit in Charleston are part of a “Winds of Time” series, inspired by the landscape of the South. 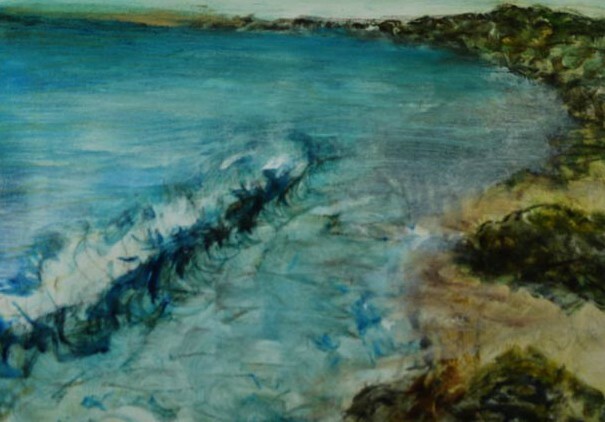 It is the artist’s intent to recreate the emotions evoked by the endlessly churning waves on the coast, balanced by the winds from the Appalachians. The sturdy, solid organic steel proves to be indestructible, much like the spirit of those living in the South – solid and unbending, even with the changes of time. Contact or learn more about the artist at www.bobdoster.com. Hank D. Herring will present highlights from the life and the famed July 4 speech of Frederick Douglass in a one-man stage show at ARTworks in Beaufort, SC February 14 and 15. 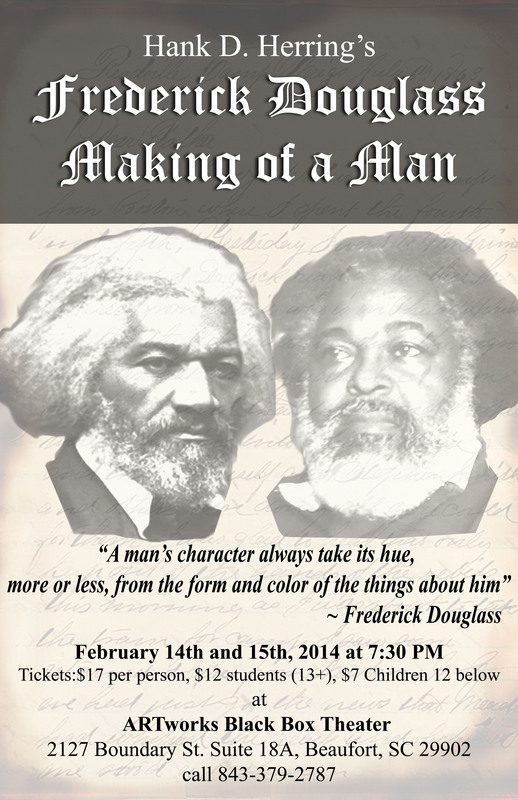 Doors for “Making of a Man” open at 6 pm, and the show opens at 7:30 pm. Tickets are available online or at the door: $17 per person; students $12 and children ages 12 and younger $7. Call ARTworks for more information: 843-379-2787. 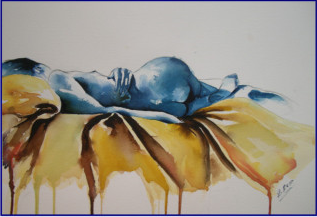 Herring is also the featured artist of the month exhibiting in the gallery at ARTworks. A specialist in framing, an educator and craftsman, he frequently exhibits and speaks at festivals and cultural events. His work also includes wood carving, collectible and functional ceramic and wooden boxes, and a wide variety of mixed media creations which often use found materials such as driftwood, leather, glass or fabric. 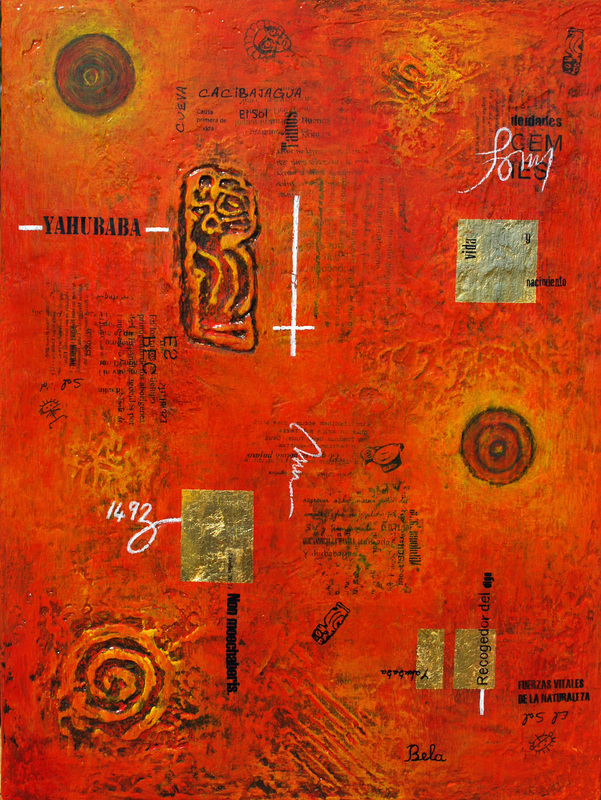 He is noted for his use of Adinkra symbols and customized designs.